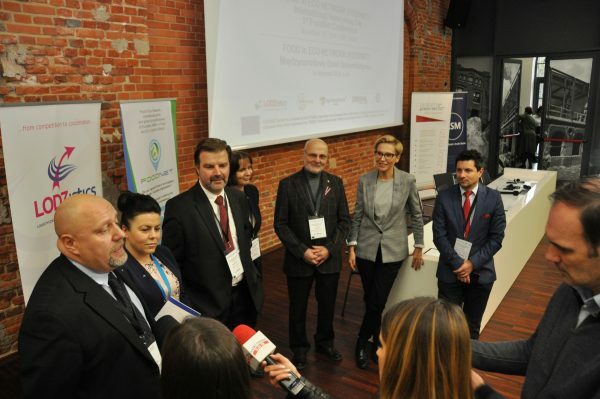 Nearly 80 participants attended the 1st FoodNet Conference which has been held in beautiful, picturesque interior of Lodz Special Economic Zone (Łódzka Specjalna Strefa Ekonomiczna), on Thursday, 15th of November, in Łódź, Poland. Representative persons of business and supporting institutions of Polish logistics branch had a great opportunity to express their knowledge, experience and expectations related to the future development of their sector. And, moreover, to matchmake and increase business contacts with their foreign partners. The general idea of the meeting was to establish (obviously to sustain it beyond the project life) and to sign the Memorandum of Understanding for Food In Eco Network (FoodNet), an EU wide meta-cluster as a long term European Strategic Cluster Partnership-Going International (ESCP-4i) supporting clusters and business network organisations, their SMEs and other cluster members collaborating for innovation, market-uptake, and marketing of competitive products, services and technologies in the field of food and eco-logistics and support SMEs in global competition. But the 1st FoodNet Conference was also a brilliant occasion to invite and gather representatives of various local entities interested in matchmaking with foreign partners, know-how in logistics sector as well as those increase their knowledge about posibilities of international developement. The project FoodNet is dedicated to SMEs, especially in the following sectors: the food sector (fresh, bio, eco), the logistics sector, the ICT sector, and the energy sector, cooperating/associated within clusters, regional authorities, and sectoral organisations (e.g. : food producer groups, clusters, business environment institutions). 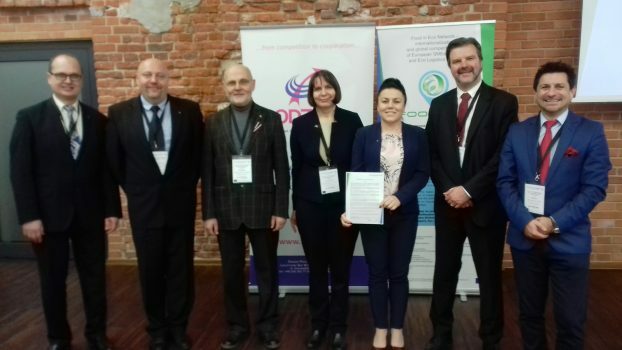 Plenty of locally significant persons representing entire sector of logistics in Central Poland region received the invitation and participated our event. 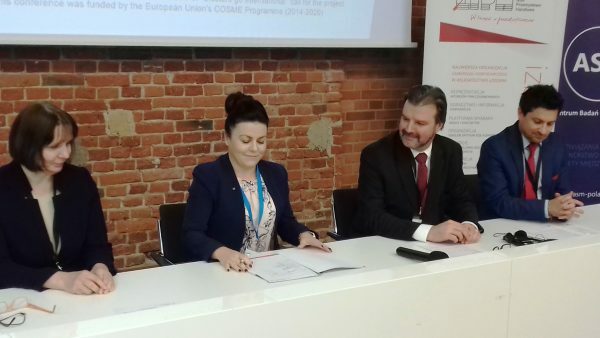 To sign the MoU was a half-way milestone of EU project FoodNet, which is going to be proceeded next year, upon the end of 2019. FoodNet members kindly invite all possible stakeholders interested in joining the meta-cluster structure to know more about the platform and to become the member of FoodNet.